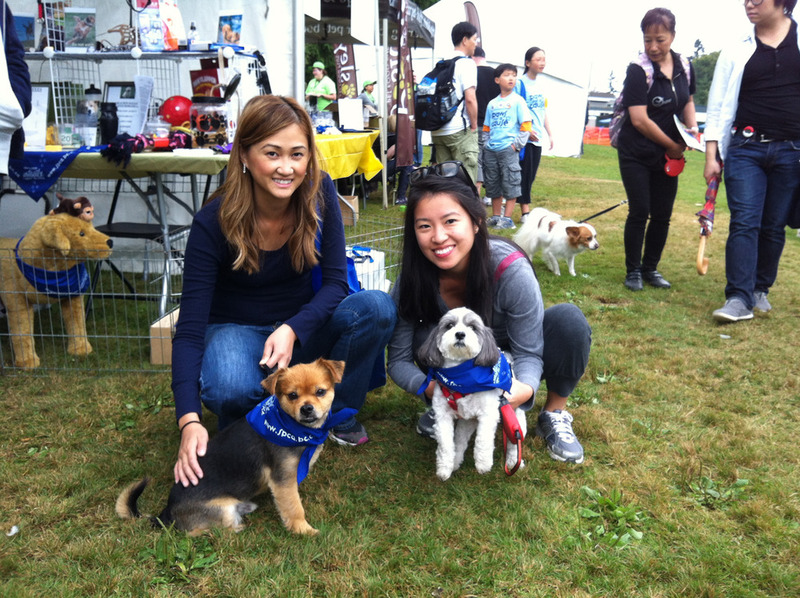 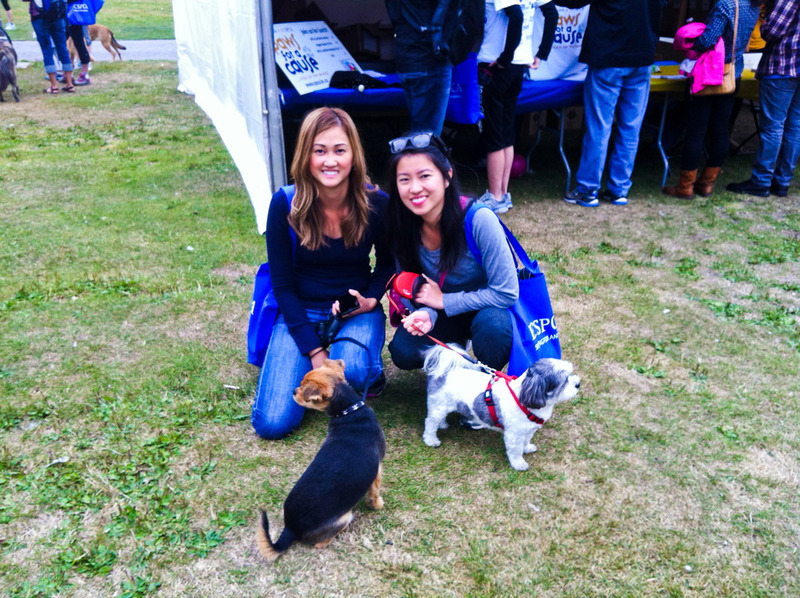 Vern and I went to the SPCA’s paws for a cause this past weekend with my friend Sabine and her dog Dodo. 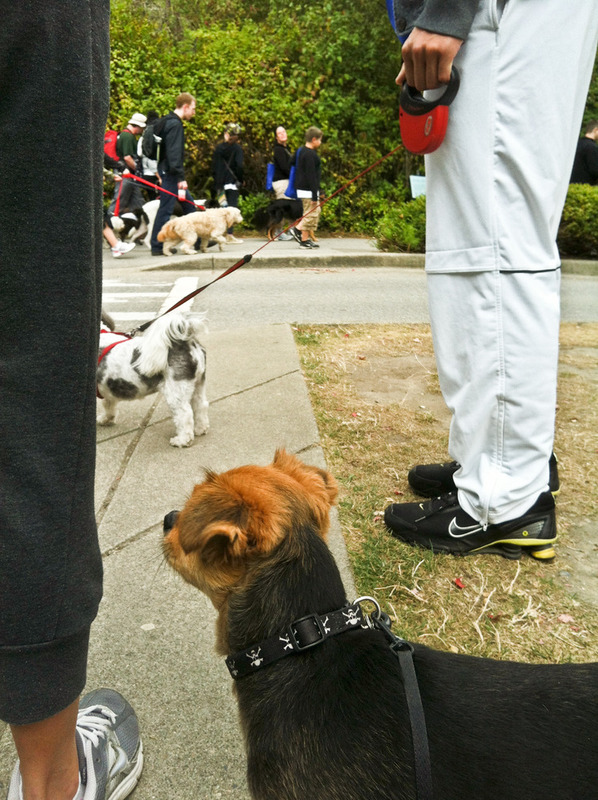 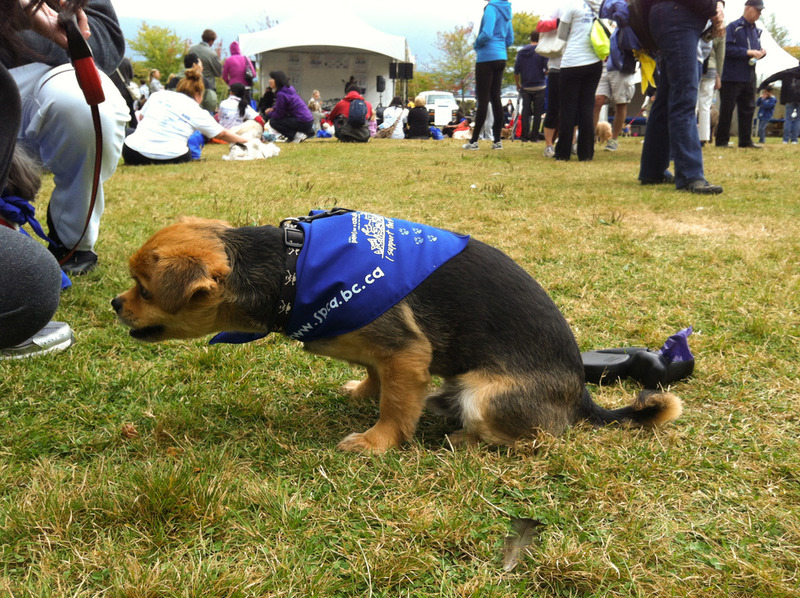 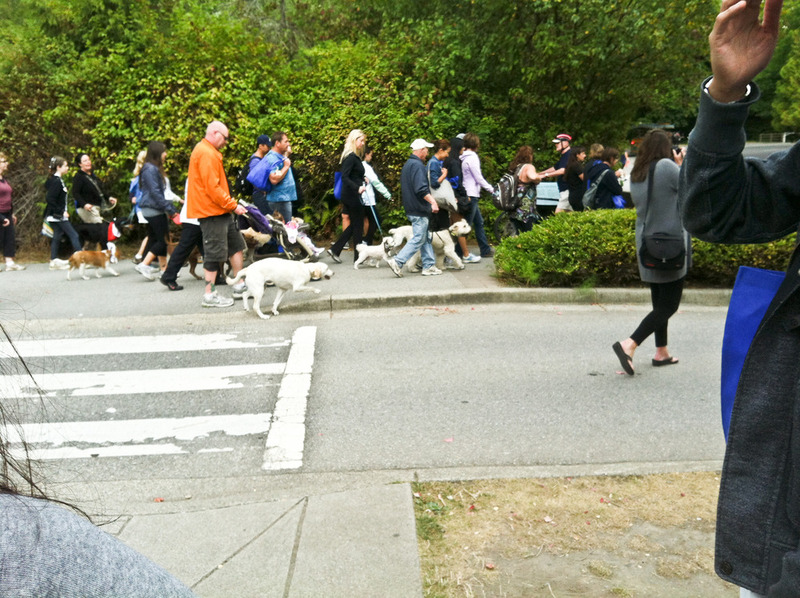 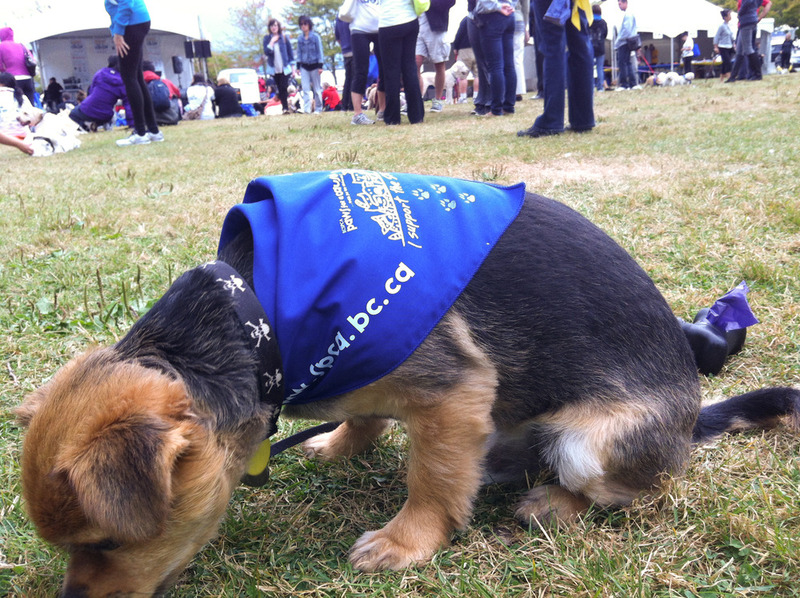 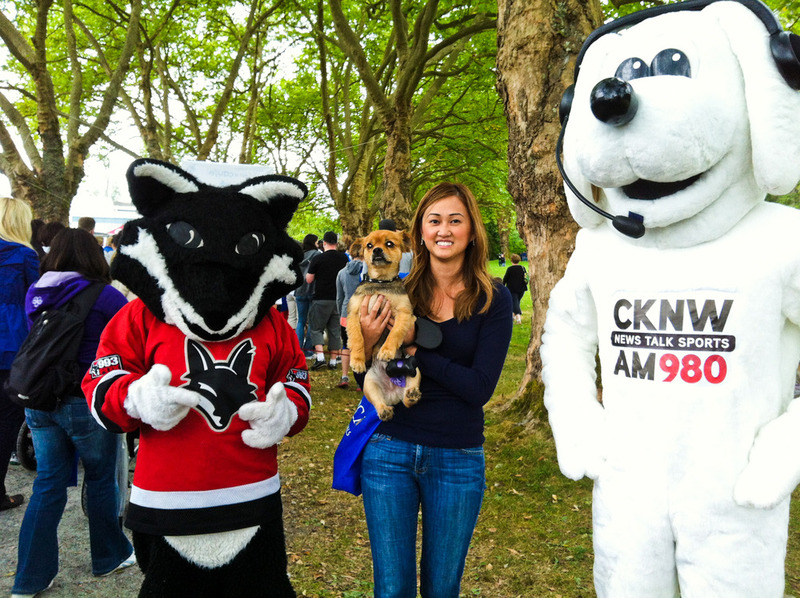 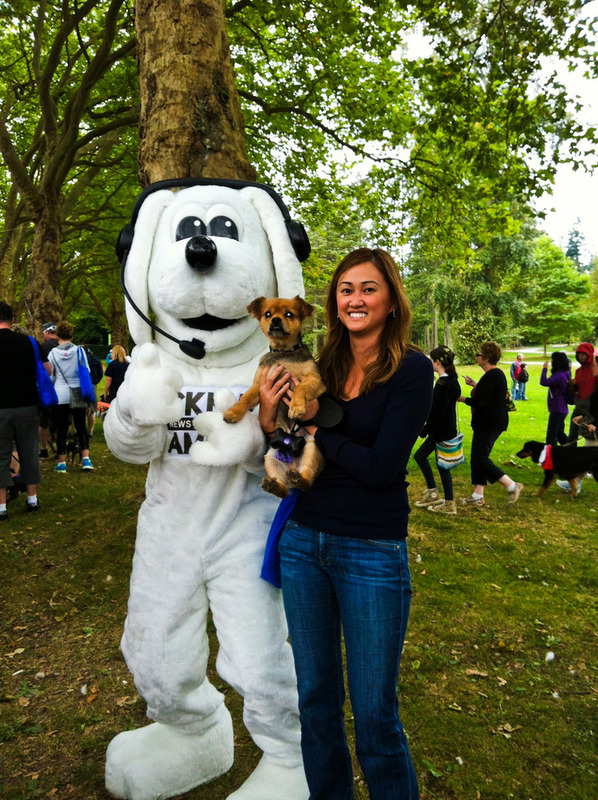 The walk is to raise funds for the SPCA and it was full, and i mean FULL of dogs! 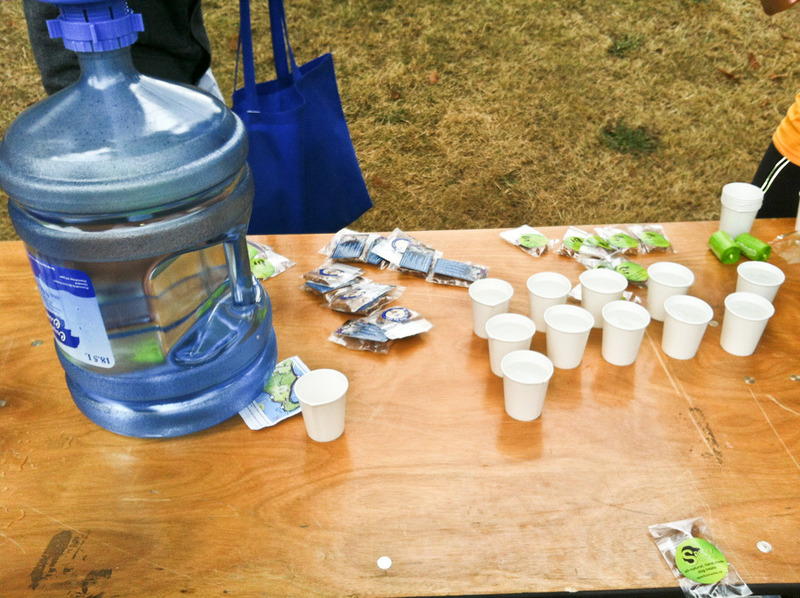 It was such a great event despite the rainy weather. 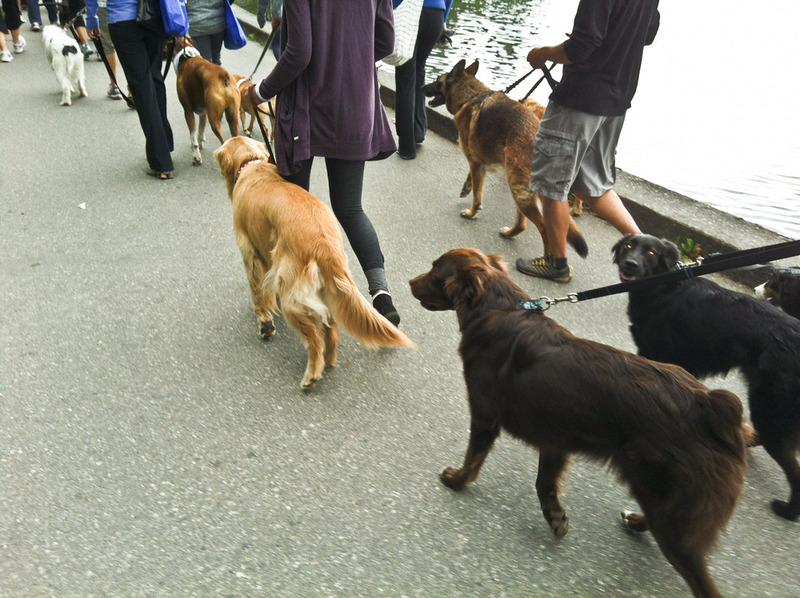 Rain or shine, we’ve all got to walk our dogs right? 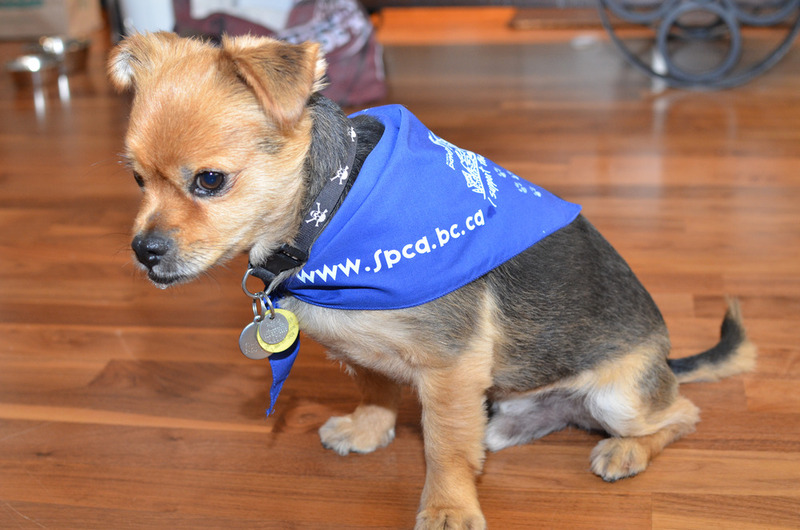 Here’s the nifty little bandana Vern got for donating his treat money to the SPCA. 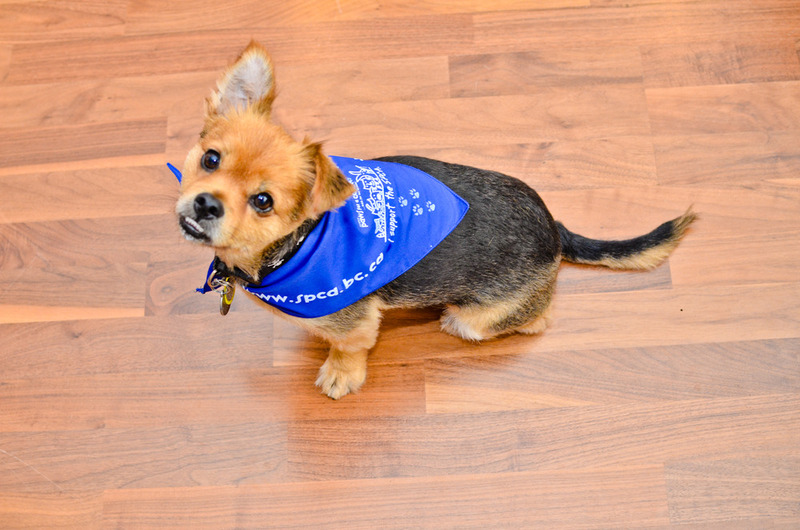 He thought other dogs could use the treats more than he could. 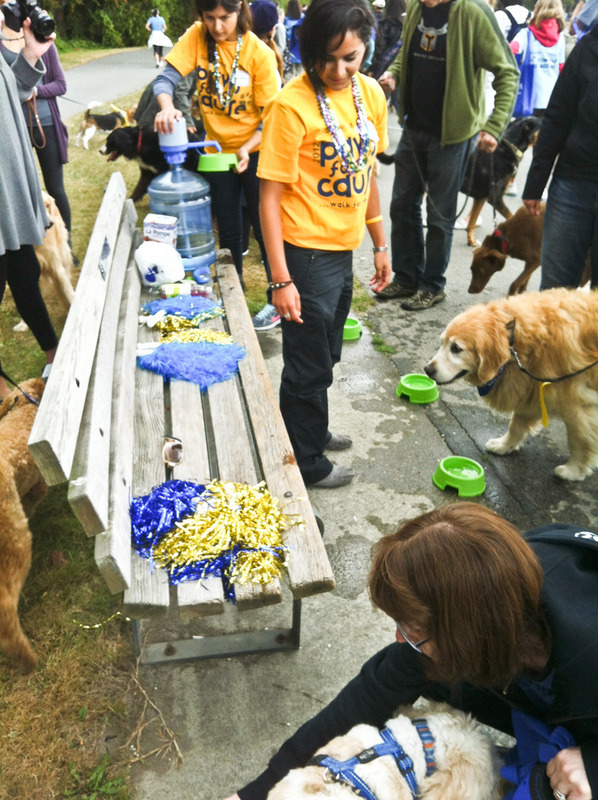 The main stage had events going on such as dog-owner look alike contests and even a bowl licking contest!! 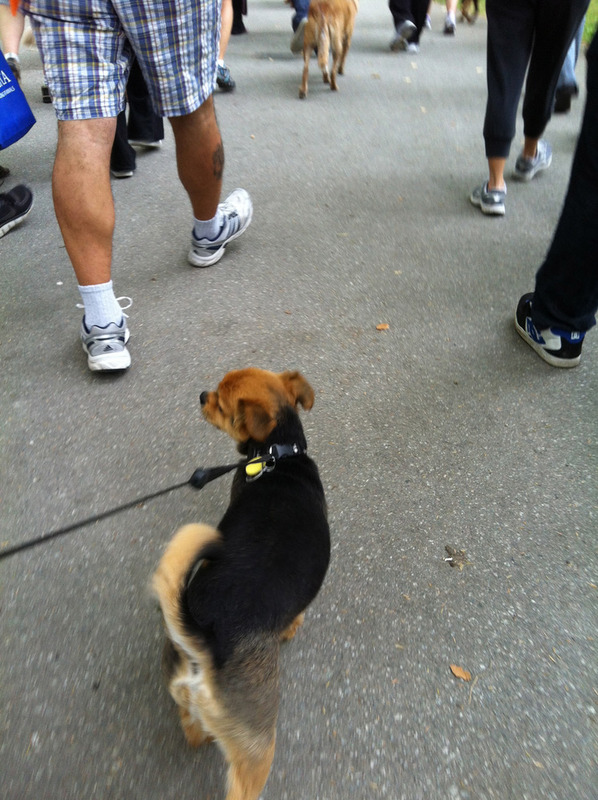 It was pretty cute. 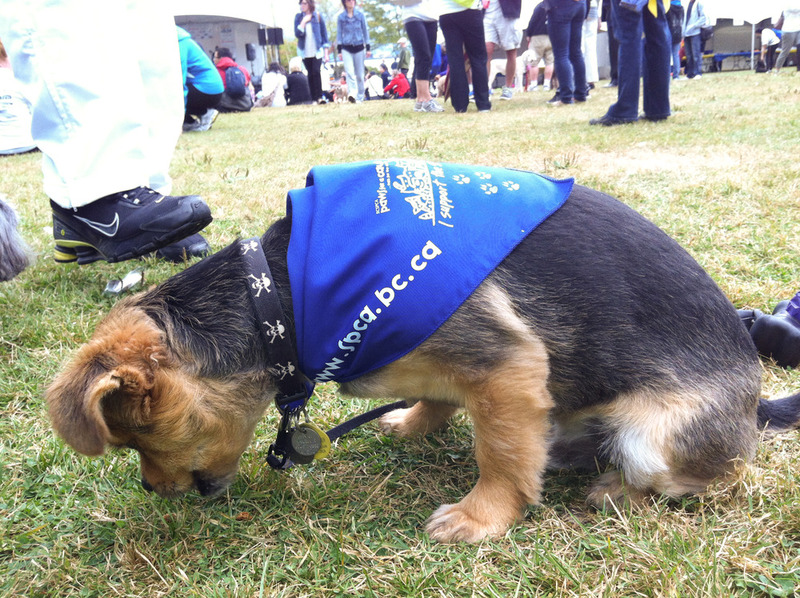 Here’s Vern enjoying the festival grounds along with the many treat samples that were available at the various tents. 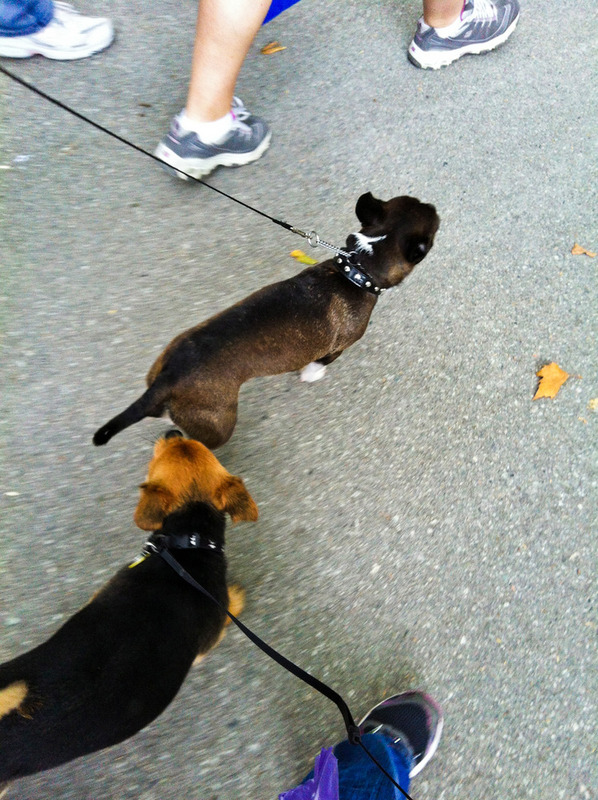 behaved and Vern was happily sniffing and greeting other dogs. 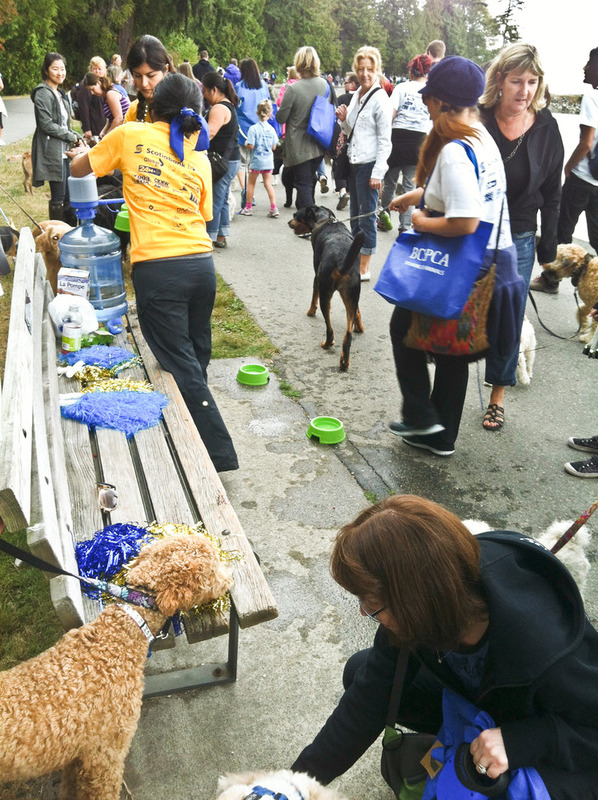 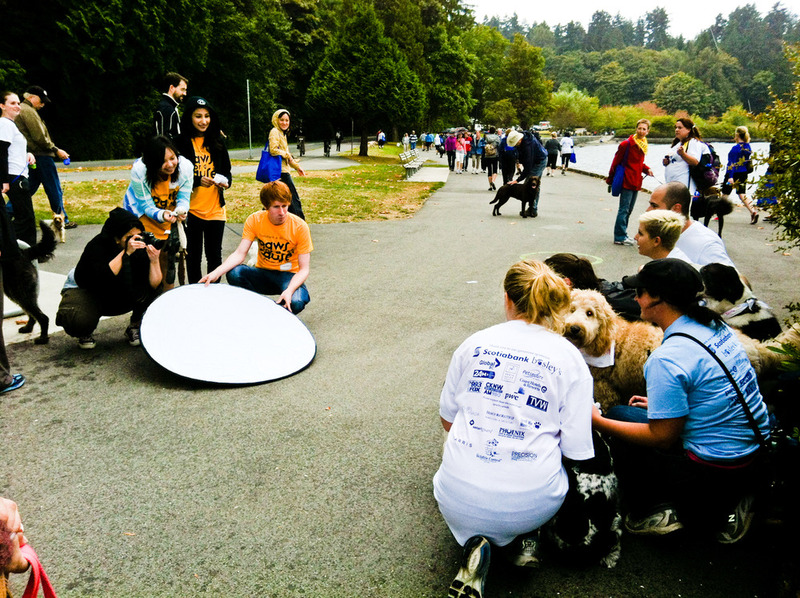 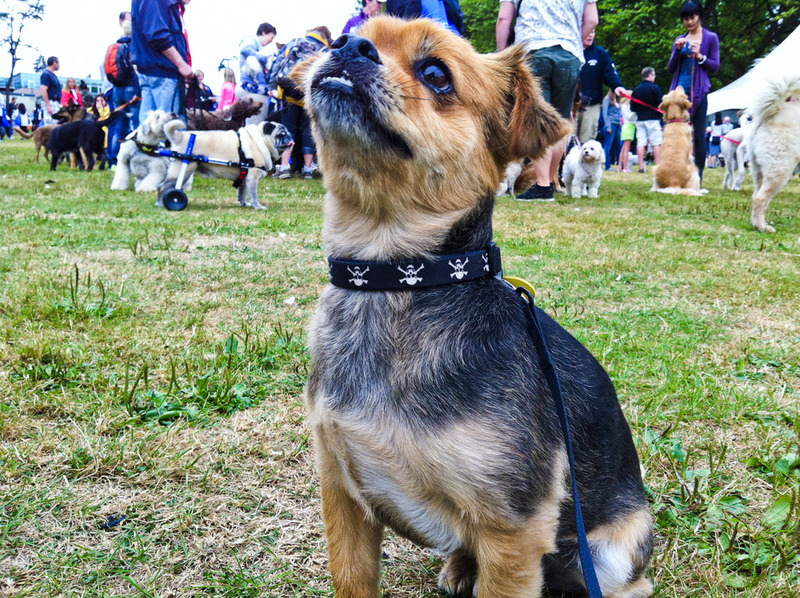 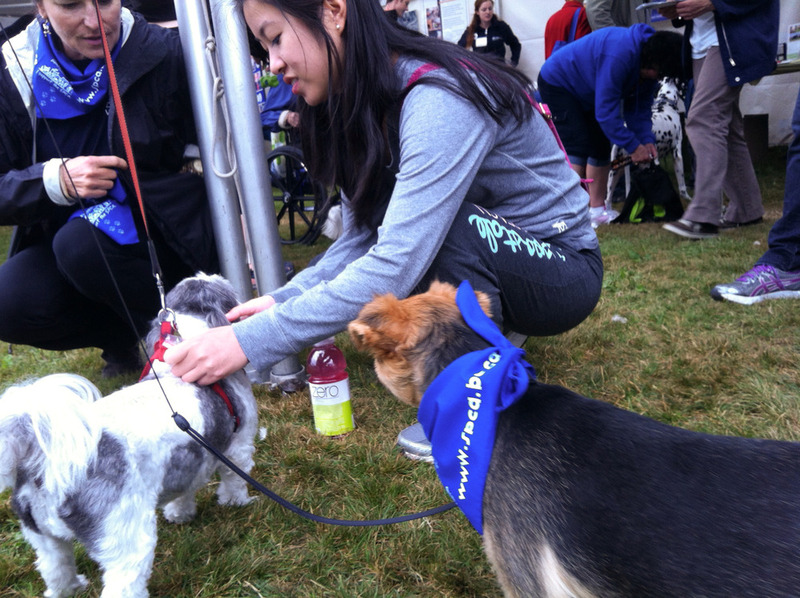 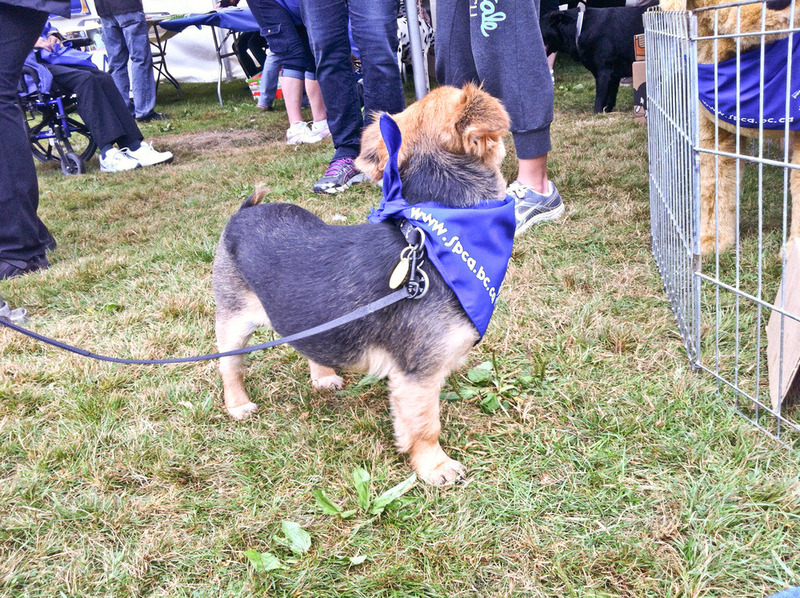 Along the walk were doggy water stations, doggy treat stations and even a ‘pupparazzi’ photo area. 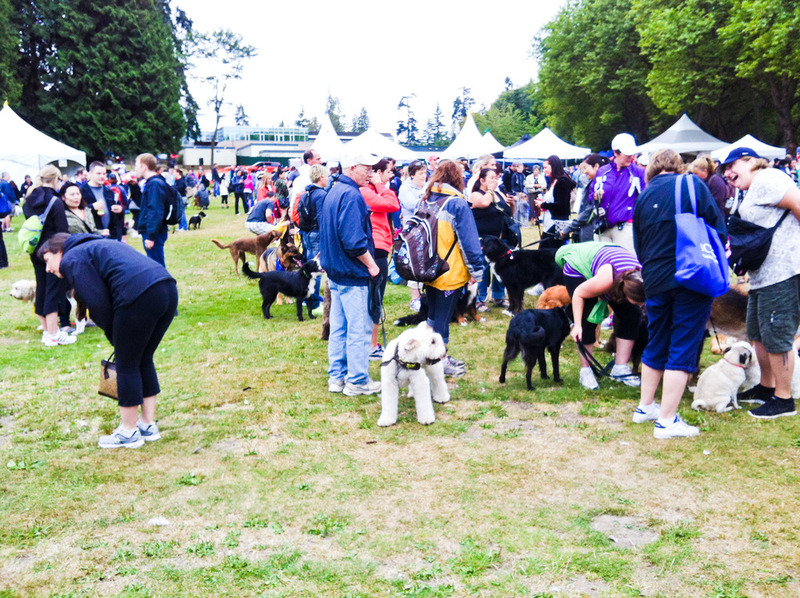 Would totally attend this event again next year and definitely plan in advance to raise funds.